A few days ago I’ve reminisced how I tried to build my online presence. I’ve mentioned in the article that my uncle was the one inspired me to delve into the world of computer science. He proposed to me the first video game(computer game) I’ve ever played – Little Fighter 2. LF2 was a side-scrolling beat ’em up game featuring 12 characters with different skill sets fighting their way through 5 stages. The last stage of each big stage features a boss fight. Players could also play on the same computer or play online against other players. This game was surprisingly fun, I spent much time just playing LF2. I’ve also played around with LF2 modifications. I have to admit that LF2 is symbolic to my childhood gaming history. But I wasn’t satisfied just playing LF2. As I had no money to buy games, also didn’t know that Steam existed, I searched free games online. I usually played flash games because they were fun and at that time I didn’t know any AAA games. One particular game that I still want to find even today, just to see what game it really was, is a 3D game where I can control some character wielding a sword, and has some fiery sword attack. It has different stages, but I only played it once. I can’t recall what exactly the game is about. It is kind of sad that even visiting the website again can’t help me find the game. As I craved for new games to play, I searched for more and more websites introducing games, I’ve stumbled across one site that meant so much to me. Cooltey, the site I frequented. Cooltey mainly introduced Flash games, but it also includes consoles games, especially SNES, GB and GBA games. Quickly I noticed how great GBA games were, and played great titles such as Pokemon, Shining Soul and Advanced War. This was the first time ever I made use of an emulator(Which I had no idea what an emulator was). Technically I pirated these GBA games. About 1~2 years later my mother asked my uncle to build a new budget PC for working, not meant to be used to play games. But for my sake, my uncle installed new games on it. Of all the new games I’ve played, I like Crazy Arcade, Bomberman, Little Fighter Online and Kart Rider the most. Crazy Arcade is a Bomberman like game, but instead of planting bombs, you plant water ballons. 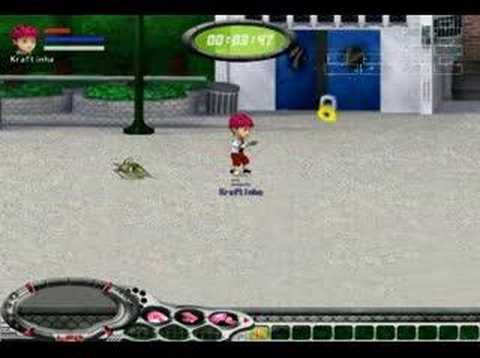 It was also an online game, allowing you to compete with other players. Kart Rider is a casual racing game in which you control characters from Crazy Arcade competing in kart races. These games were so fun that I spent my time after school playing just these games. As you can imagine, I spent my time playing video games and didn’t study hard enough to achieve good grades. My mother banned me from playing video games, and I was kinda sad. In between these bans I played FPS games like Counter-Strike, which I played on the same old PC aforementioned. I played with bots and although the graphics wasn’t great, I had fun shooting enemies. I also played World of Tanks, one of my favourite MMO of all time. I first played it on my aunt’s computer. The computer could not handle WoT, therefore I played it on lowest setting with 10~20 fps. But I was fine with that, after all, being able to battle in a tank was every boys’ dream. 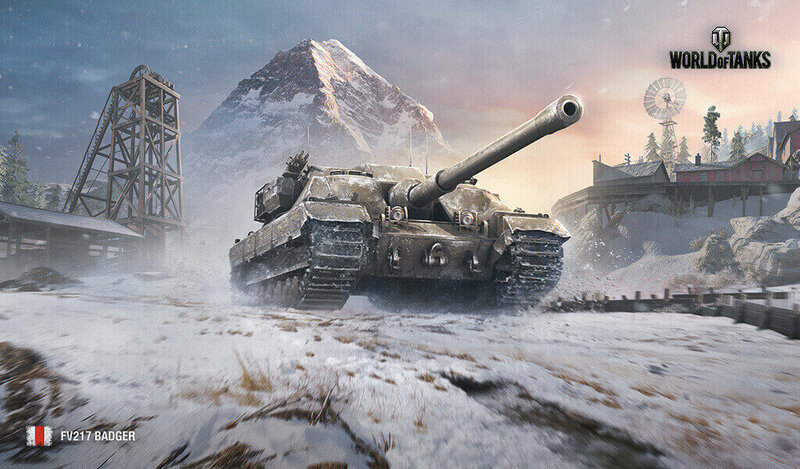 World of Tanks Wallpaper featuring one of the in-game tanks. Meanwhile, I also laid my hands on portable consoles, specifically PSP and NDS. My father bought me a PSP as my 10 year-old birthday gift. The PSP was very resilient that even now it still works. The first PSP game that I ever played was Brave Story. A typical RPG game where you get into trouble for some reason and go save the world for good. Originally I was to buy a Dragon Ball game, but I don’t know why I chose Brave Story instead. The art at the time was pretty good. I also played Monster Hunter on PSP. It was my first time ever playing an ARPG. Originally I played a few quests, didn’t know what to do and deleted the game. Then my childhood friend presented me Monster Hunter 2G. 2G was the hardest game in the series, I couldn’t even beat the congalala(although now I think I was just not skillful enough). Again I deleted the game from my PSP. Then years later, when I was studing at 6th grade, MHP3 came out. This time I asked my classmate to buy it and lend it to me. I promised the game would be tremendously fun. He bought it and let me play the game. This time I learned how to play the game properly, but I still couldn’t finish most of the quests in this game, because my analog stick was broken. Zinogre, the signature monster from MHP3. Aside from all the games above, I’ve also played games like CS2D, Maple Story, Dragon Quest V, etc. What I have to say is that video game has become a large part of my life. Back then I had no friends to play with because I was a bully and nobody wanted to actually befriend me. Video games and computer were my only playmate. Even now that I am grown up, they still are my most loyal friend that will stand alongside me.